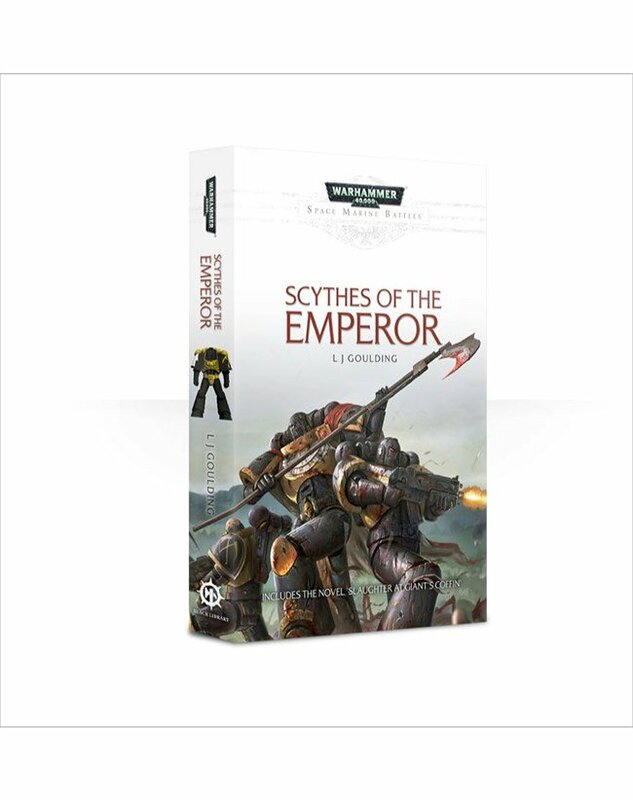 Black Library has placed on preorder and eBook download the latest Scythes of the Emperor Omnibus. In one book you get all the short stories and main novel, “Slaughter at Giant’s Coffin”. To learn the most recent background for the Scythes, this a definite pick up. Following the loss of their home world Sotha to the tyranid Hive Fleet Kraken, the Scythes of the Emperor begin a new kind of war against the alien menace. Facing further humiliation and defeat after regrouping at the Giant’s Coffin on Miral Prime, recently appointed Chapter Master Thracian must find a way exploit his warriors’ need for vengeance if their Space Marine Chapter is to have any hope of survival… This collection spans the greatest period of upheaval in the Scythes of the Emperor’s history, and includes the novel Slaughter at Giant’s Coffin along with five additional short stories. If you want to know more about the Scythes in GW Literature, check out my Essential Reading Guide. Shame its not a hardback this time round, but still, it looks to be a very very handy bit of essential reading for any scythe fan! Is that Daedalus in written format instead of as an audio drama?